Don't Ignore Suicide in the Disability Community – Live On! In the Disability Community we have plenty of conversations about Disability Pride, dating, innovative technology and a host of other topics. However, there's one topic that seems just too taboo for polite conversation: depression and suicide within the Disability Community. This seems to be a difficult topic for any community to have, but its particularly hard for ours. After all, the very concept of Disability Pride is meant to challenge the common, regressive stereotype that disabled people are miserable and deserving of pity. Acknowledging that many of us do struggle with depression seems to run the risk of feeding in to this harmful stigma that is the source of so many of the barriers we face. How can people with disabilities be both proud and suicidal? Research, in fact, shows that it is actually quite common for disabled people to struggle with depression, but this difficulty is not usually caused by our disabilities. According to Thomas Weiss's article, "People with Disabilities and Suicide Awareness," most disabled people that commit suicide aren't driven to it by the experience of having a disability; rather, these tendencies are usually due to difficulty in knowing how to navigate society's perception of disability and how that perception impacts their relationships and livelihood. Being a disabled woman myself, this makes perfect sense to me. I no longer struggle with every day tasks of daily living, as I have adapted and learned how to cook, clean, get dressed and manage my never-ending to-do lists in my own way. Yet, what I continually struggle with is how to deal with the sting of discrimination from a restaurant with a one-step entrance keeping me from going inside or the patronizing baby voice that strangers use on me because I sit in a wheelchair. If I were newly disabled and/or did not have a Disability Community with which I could sit in solidarity in these moments, I could see how they would overwhelm me and swallow my life experience. This is why it is no surprise that so many disabled people, especially with newly acquired disabilities, experience depression and/or suicidal thoughts at some point during their lives. After all, experiencing society's reaction to disability is a tough pill to swallow, even if you've been dealing with it your entire life like I have. It must be a total shock to the system to become disabled after first living life free from ableism for a while. The one place that I know of that is dedicated to ensuring that discussions of depression and suicide are encouraged in the Disability Community is LiveOn.net. If you haven't checked it out yet, #LiveOn is an anti-suicide campaign aimed specifically at people with disabilities who may be at risk. 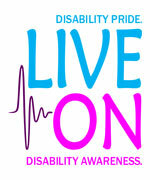 The campaign is run by disabled people and is based on Disability Pride. It's a website that has a series of videos by disabled people telling their own stories about disability, how they have found community and all the reasons they think other disabled people should #LiveOn, even when they may be struggling with all the stigma heaped on us every day. Disability is often an isolating experience already and this isolation is intensified by depression. What seems the most profound is the #LiveOn Movement's ability to provide community to someone that is experiencing this isolation and may not know a single other disabled person that they can talk to about it. 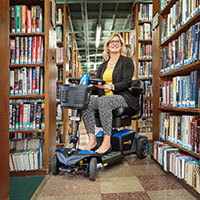 After watching only a few of the videos, one cannot help but walk (or roll) away with that same feeling of solidarity that I get from a day of hanging out with my many disabled friends and colleagues.